1) The Queen, where the kids made the royal perfume Medieval queens would wear – and wrote about it! 2) The Castle, they learned all about the architecture of castles and built one of their own! This is just two of the projects the kids did, and you can imagine how much fun they had with them. Below we have a picture of what the chess board might looked like, with some of the pieces exchanged for hats in lieu of the unfinished pieces. 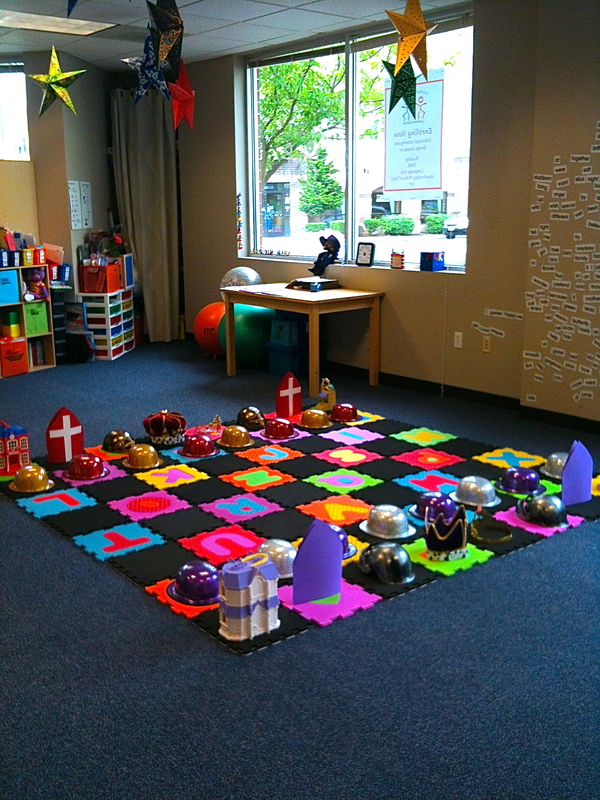 The kids had a blast learning about Medieval Times through this interactive game. Plus, they got to learn how to play chess! Pam has many projects and ideas for you to learn about, and this is just one. If you would like to know more about the Medieval Times Creative Writing Class, please visit the Contact Us page.